146 hours in. Two skill trees maxed out. Bethesda is at it again; creating a cruel, cold-hearted timesink of an open world game that threatens socialization as we know it. Formats: DVD, Blu-ray, Steam Digital Dist. A cyberpunk thriller of incredible depth and smoother execution, Human Revolution is the saving grace of the Deus Ex brand. Admittedly, I was always a fan of Medal of Honor not for the gameplay which it offered, but the stirring soundtrack to which I would be blowing digital Nazis away to. Arguably, this series is where Michael Giacchino built his career to the heights it is now, as the composer to movies like The Incredibles, Cloverfield, and the 2009 Star Trek reboot; at the same time, it could also be argued that it was a symbiotic relationship that benefited the MoH series as much as it did Giacchino. Moreso, perhaps, if you found the gameplay of the entries to the series pretty lackluster. Even then, there was still the prospect of revisiting the “good war,” a conflict that generations then and generations now view as a titanic struggle of good versus evil and that subsequent investigations into the European theater of operations would reveal such a notion to be not a long stretch from the truth. Unfortunately, for the Medal of Honor of today’s generation, it lacks for a lot of these potential benefits, even foregoing some of the dynamic gameplay of MoH: Airborne which garnered the most positive reviews of the Medal of Honor games since 2003. This Medal of Honor game is short and doesn’t get up to speed until a lot later in the game. There are its bright spots– the game doesn’t lack for pretty light and sound and plays well– but that might just be all there is to offer from this title. If you are a fan of Square’s venerable Front Mission series and were holding out hope for what is the first PC Front Mission title ever, then you’ll not want to read this review. Or maybe you might, to spare yourself the purchase and disappointment of the actual game. Front Mission: Evolved is an attempt to bring the Front Mission series into the real-time shooter plane of existence which seems to be all the rage currently in game development. 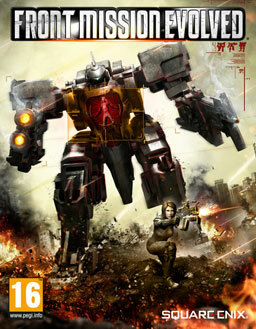 What they’ve done with the game technology itself is nothing especially praiseworthy or especially damning– it’s about average shooter material, with some destructible objects, sparkly particle effects, neat gun noises, and well represented big robots. Good stuff for any other shooter, but disappointing here, for reasons I’ll cover in a bit. I tend to be a fan of the secret agent genre, more the Bourne side portrayal of the story rather than the Bond side (although Casino Royale was a fantastic reboot and earns its place in my undying love for great movies). CIA open literature on the subject is fantastically entertaining if but for the dickery that goes on in the trade. I watch Burn Notice whenever it’s available. 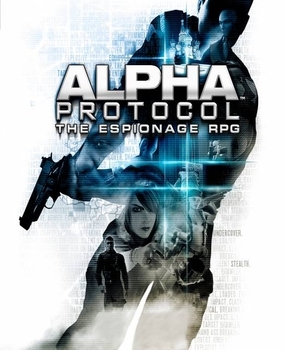 So I have to say, I was looking forward to Alpha Protocol for a while since its announcement in 2008. Was it worth waiting? Not entirely.